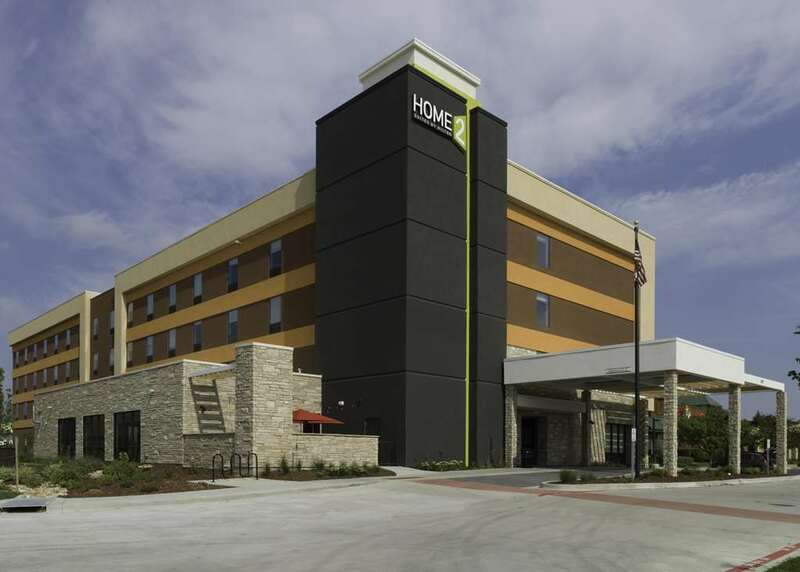 Home2 Suites by Hilton Fort Collins is a perfect base for your work trip college visit or extended stay in beautiful Northern Colorado. Walkable to several restaurants our hotel is also 5 minutes from Harmony Technology Park and 15 minutes from Colorado State University. Shop and dine at Front Range Village discover charming Old Town Fort Collins or sample beers at New Belgium Brewing Company all minutes away. Settle in and relax in a suite that*s spacious chic and comfortable. The living area has a pivoting TV and full-size sofa bed and there*s a rolling work desk and moveable furniture to arrange as you like. Enjoy free WiFi plenty of storage spaces and the convenience of an in-suite kitchen with full-size appliances. We offer free breakfast with options like oatmeal warm artisan sandwiches yogurt fruit and waffles to energize your morning and our Home2 MKT store is open 24 hours when you*re craving sips and snacks. Warm up with free Coffee2 Tea service in the lobby after a busy day or unwind in the heated indoor pool. We do multitasking right in our Spin2 Cycle facility where you can run laundry while running the treadmill. The largest Hibachi and Sushi Restaurant in town. A fast-casual restaurant that offers international and American noodle dishes as well as soups salads and pasta. Romano*s Macaroni Grill is an American casual dining restaurant chain specializing in Italian-American cuisine. American comfort fare with Southwest twists served in casual quarters with indoor and outdoor seating. ~38 miles from Fort Collins. ~52 miles from Fort Collins. ~54 miles from Fort Collins. ~46 miles from Fort Collins.